SMARTPHONES are a blessing for consumers, especially now that users can make transactions froim virtually anywhere. The Asia Pacific region is a particularly ripe market for e-commerce, with growth in the region estimated to overtake the global market. Mobility adds a new dimension to retail businesses by empowering them to engage with the public. However, leveraging mobile goes beyond being able to engage customers through ads and social channels. The key is to establish a singular ‘omni-channel’ approach, if you will, to marketing, point-of-sale and data acquisition, so that even brick-and-mortar establishments can benefit from the productivity gains. At least 80 percent of shoppers find information and reviews about products before visiting a store, according to MIT research. Customers are now used to reading online reviews from both peers and strangers even if they intend to make the actual purchase from a physical store. In some cases, customers even use mobile devices to find reviews or better deals while already at the store. If you cannot satisfy requirements in terms of price and service, you might be victim to the so-called “showroom-ing” phenomenon: where a customer will simply visit the store to have a physical look and feel of a product, but end up buying from a different source (usually online) after finding a better deal. when you are buying something online and it asks for a discount code and you enter "please"
An omni-channel approach involves online, mobile, and physical mediums. Such an approach to retail enables you to unify your digital and physical storefronts. This gives customers the flexibility make purchases using their medium of choice, whether it’s through a mobile app, cards, or a mix of both. The key consideration here is how you can reduce transaction-related friction by giving users the option of paying without having to queue. Another advantage of being able to leverage mobility is location-based marketing, which enables you to engage customers already within the vicinity of your physical store. Forrester Research found that less than 10 percent of retailers take advantage of geo-marketing. This means there is still room for growth in this area. Mobile marketing company Apptentive found that at least 50 percent of customers use mobile apps even while browsing the physical stores. This might sound counter-intuitive, but some stores simply don’t provide enough product details on the tag or label. Some users try to find features and even copies of user manuals online, to make sure the product is just what they need. A possible solution here involves augmented reality (AR), which can significantly improve the in-store experience by providing layers of information. By leveraging the smartphone (or, more expensively, AR glasses), you can free up on-site staff to focus on more specialized customer needs or inquiries. Retailers are only just starting to enjoy the benefits of AR. If the meteoric rise of Pokemon GO is any indication, then smartphone users find it cool and innovative to see extra digital features on top of real-time images. In fact, brands like LEGO, IKEA and Converse are already using AR to assist customers in making decisions while at the store. Cash registers could soon to be relics of the past, as modern PoS innovations now involve the use of smartphones and tablets, which make it easier for customers to pay via cash, cards, and even cryptocurrency. Contactless payments are also becoming popular – these include smartphone tap-to-pay technologies like Apple Pay and Google Wallet. Connected PoS apps also provide more than just payment terminals. With inventory and analytics tools, they also provide business intelligence; the added visibility helps optimize inventories, prioritize on-demand products and reduce supply chain inefficiencies. It’s important to provide customers with a frictionless experience. According to FirstData, 63 percent of adult millennials do not own a credit card, and would rather pay through apps or other contactless platforms instead of cash. 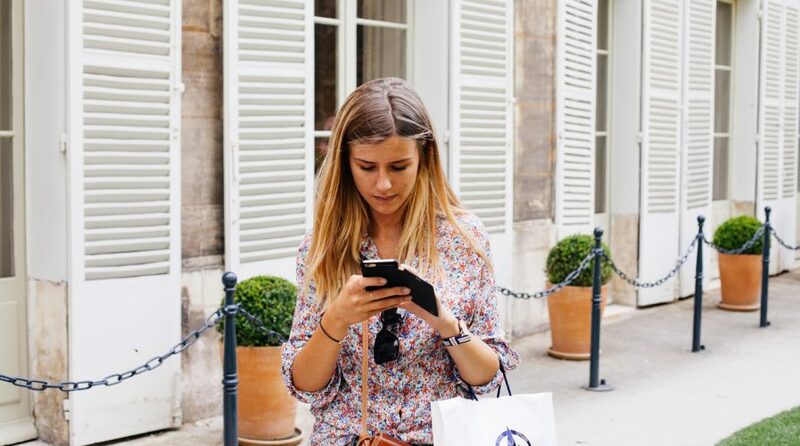 Mobile technologies are now an inseparable aspect of the customer experience, whether you run an e-commerce, m-commerce or a physical storefront. It no longer makes sense to only run a purely brick-and-mortar shop. Even for e-commerce players, the prospect of outreach through a physical storefront can give a much-needed image boost. For any business, you need to leverage the latest platforms to establish an omni-channel approach to retail, to ensure optimal engagement with customers. Position your brand as a part of their shopping experience from start to finish with as little friction as possible.